If you’ve even been paying just a little attention to television or the news you’ve probably heard about the NBC, Jay Leno, Conan O’Brien debacle. 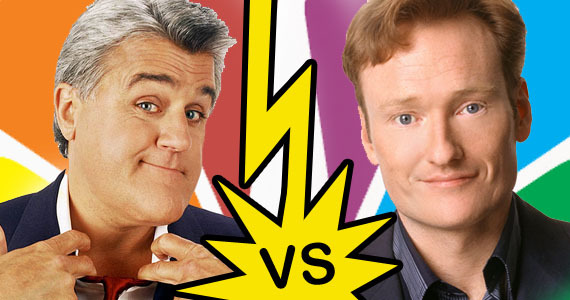 Basically, all three parties agreed five years ago that Conan would take over the Tonight Show from Jay Leno, which he did even though Jay was the king of late night television in the ratings. Because NBC didn’t want to lose Jay to a competitor they created a show for him at 10pm, which precedes the late local news and the Tonight Show. Turns out Jay’s show has bombed in the ratings in the prime 10pm time slot and Conan has also bombed in the ratings. It’s created this huge debacle with broken promises and contracts and basically NBC is a real mess right now. If you want to find out more I’m sure you can bing or google “NBC” or “Tonight Show” or a bunch of other things to get caught up. NBC was willing to take a chance on something new—instead of a drama at 10pm like everyone else they put the Jay Leno Show on. – I think the church needs to step out and try more new things. We need to take more chances and if it doesn’t work correct it. Personally, I like both comedians/hosts. They are both funny in their own way. Even though they’ve been humorously harsh on NBC in their monologues they have both been pretty classy even though they have to be steamed inside. – As leaders we need to be people of grace. Here both guys have probably a right to say nasty things in a non-humorous way, but instead they keep plugging along. We need to know when and when not to say certain things. Proverbs 18:21 (NLT) states, “The tongue can bring death or life; those who love to talk will reap the consequences.” Makes you think twice before you say something you may regret later. It was Conan’s dream to be host of the Tonight Show and in only seven months it was taken away. Three things: First, seven months probably wasn’t enough time to allow Conan to succeed; besides they gave Jay twice that long to succeed when he first took over 17 years ago. Whenever you do start something new—count the cost. Know that there will probably be a learning curve and it may take a little bit of time to “catch on.” Second, the Bible says in Ecclesiastes 7:8 (NLT), “Finishing is better than starting. Patience is better than pride.” I respect Conan and Jay that instead of not fulfilling their part of the contract—they kept going. They kept telling jokes, interviewing guests, etc. What projects have you stopped premature because you weren’t patient? Be careful to not stop early or half way—finish strong. Thirdly, just as Conan’s dream was “taken” from him, how would you respond if your dream didn’t work out? Would you continue to trust God? Would you admit that maybe you missed the voice of God? Would you try to make it happen under YOUR own strength and abilities? Remember to register for Napkin in Las Vegas!